Today’s customer is constantly looking for a fluid shopping experience, transitioning smoothly across the buying journey. Be it the e-commerce order, online support channels, intelligent chat agents, POS or a kiosk, today’s phygital shopper expects a seamless shopping experience across digital and physical touchpoints. 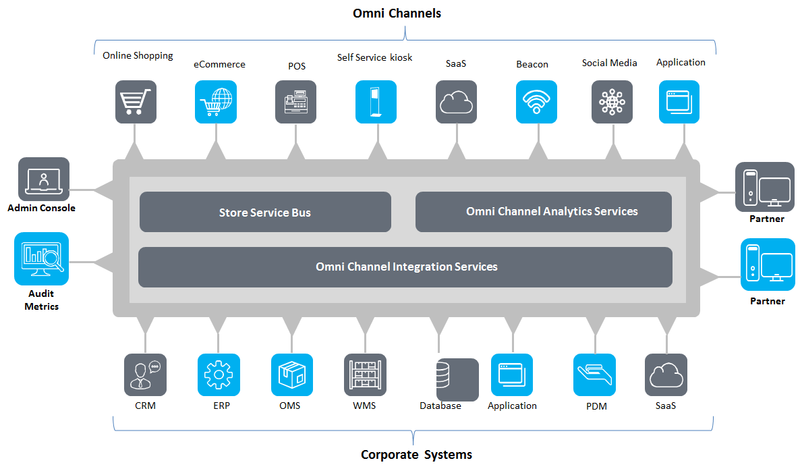 So appending an omni channel approach is an integral means to customer engagement, besides brand positioning. It is also a potentially engaging way to attract new customers. The primary business objective of every retailer is to offer an exceptional customer experience across all channels. AURAS Omni integrates across diverse touchpoints and solves the challenge of Omni channel implementation. It powers businesses to get their hands on real time customer data. The transactions are instant and real-time for POS, mobile, desktop or any other ecommerce transaction. This means businesses are empowered with real time customer data. Real time integration for an engaging customer experience across devices, channels and platforms, Anywhere, Anytime.